Tired of hauling a camper and/or all your equipment every time you head up to that piece of property you have for getaways? 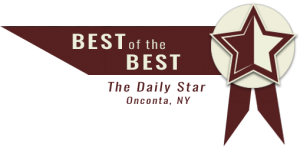 Amish Barn Company has the solution! 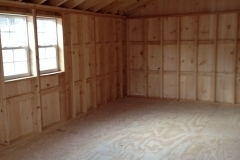 Our recreational single wide – one story – modular cabins go in quick and are very affordable! 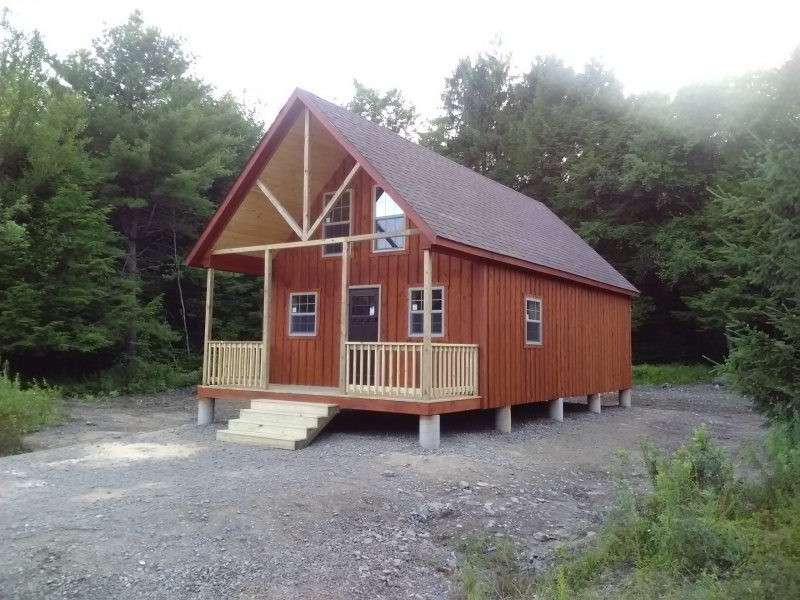 You can even rent to own these single wide cabins for a little as $300 per month! 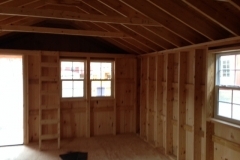 Our most popular modular cabin is the board and batten. 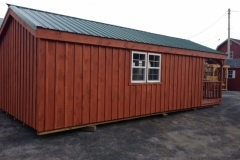 Available from 12×20 to 14×40, our board and batten cabins include a 4′, 6′ or 8′ porch, optional storage loft space over porch, and as always free delivery w/in 100 miles of our Oneonta, NY location. Looking for something bigger? Click here. Amish Barn Company now offers 3 single wide cabin packages to give you the most popular upgrades at the most affordable price! 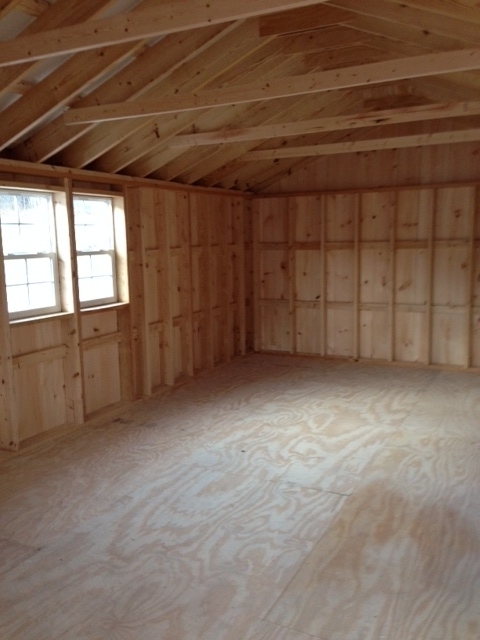 “The Camp” is our basic recreational model, or can even be your “shed” with a nice porch to sit on! Great for hunters or summer campers. STARTING AS LOW AS $270 per month for 36 months! First month rent plus 3% security deposit due at signing. “The Weekender” is our mid-level recreational cabin. 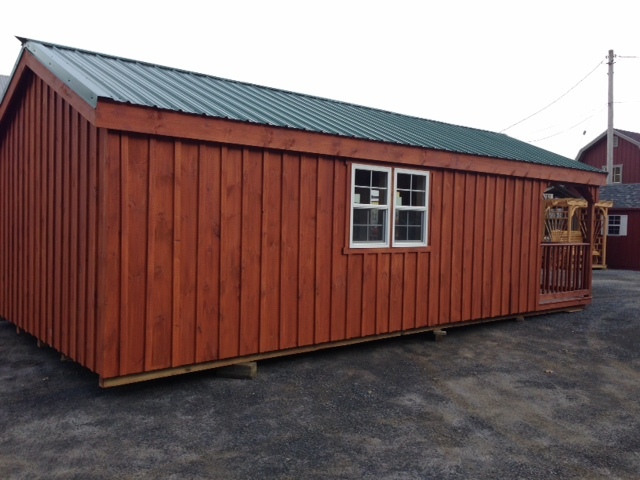 It is built with all 2×6 construction and comes in sizes up to 14×40! With 4 vinyl insulated windows included, your cabin will be cozy and bright! STARTING AS LOW AS $395 per month for 36 months! 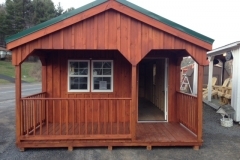 “The Catskill Cabin”, also available in sizes up to 14×40, is our deluxe recreational cabin. 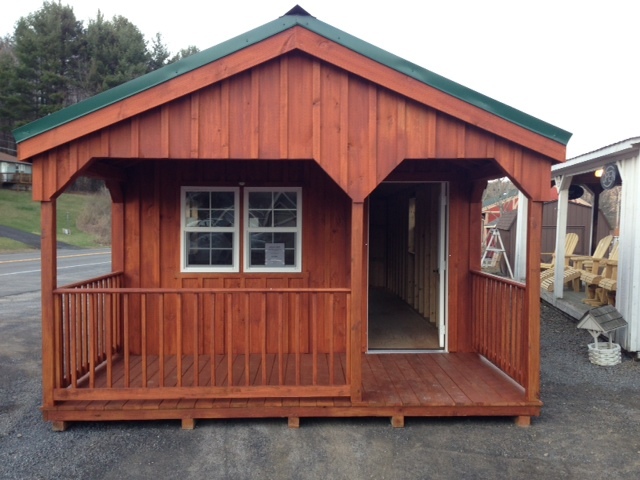 Meant for all seasons, this cabin not only includes 5 vinyl insulated windows, but also comes with a spray foam insulated floor. Turn the heater on, and snuggle up! STARTING AS LOW AS $545 per month for 36 months! Minimum site prep for all cabins is a leveled pad of of crushed stone (minimum of 6-8″ deep). Truck with trailer must be able to access your spot. Gravel pad but be 1′-2′ bigger than the building on each side.